Financial Times #1 ranking program in Germany. Choose the top-ranked MBA Program in Germany! Whether you are looking to obtain management expertise, climb the career ladder, or change careers – be it the role, industry, function, or geography – our international MBA Programs at WHU Campus Düsseldorf are for you. Designed to maximize your academic learning, international exposure, professional network, leadership impact, and career development, an MBA from WHU will help you reach your goals. In addition, we offer our students extracurricular Management Practice Workshops with expert practitioners covering topics such as Strategy Consulting, Change Management, Design Thinking, and Process Management. Taught by outstanding international faculty, practitioners, and business experts, the program combines academic excellence with practice-oriented study methods. In addition to a rigorous academic curriculum, the MBA offers you the chance to step outside of your comfort zone by participating in real-life case challenges and gain new insights through inspirational company visits and guest lectures from experts in the field. Furthermore, our range of elective courses helps you choose a degree focus relevant to your future career. Our curriculum centers around your personal growth and leadership development needs. From one-on-one coaching to experiential group learning activities and leadership lectures, every aspect of your education is designed to foster open discussion and develop self-awareness, helping you learn to both be a successful leader and be led successfully by others. Working in a group environment teaches you to think quickly, critically, and in a solution-oriented manner – essential skills for the business world. Furthermore, working with diverse cultures, personalities, and people from various academic and professional backgrounds teaches you to adapt and improve your communication skills, preparing you for today's work environment. Small class sizes and approachable professors guarantee personalized support, mentoring, and a learning environment focused on your personal development goals. The outstanding quality of our learning concept was recently confirmed by the Financial Times Global MBA ranking 2018, which ranked us as the best German business school for career services, program internationality, and student satisfaction. With the 12-month Full-Time MBA Program, offering both September and April intakes, you can immerse yourself in an intensive learning experience and quickly reap the benefits of your new knowledge and skills. Before starting the program, you will have the opportunity to attend online preparation courses to refresh your knowledge of mathematics and statistics and learn the basics of economics. In cooperation with the Goethe Institute Düsseldorf, WHU offers German courses for different proficiency levels throughout the program, in order to enhance your profile for the German job market. If you would like more information, please contact the admissions team. *WHU partially sponsors (50%) the cost of the language course. The remaining cost (500€ per month) must be covered by the student. The first five months of the program comprise mandatory core modules that provide a solid foundation in basic management concepts and core organizational functions. These are advanced courses that provide you deeper insights on Strategy and Organization, Marketing & Sales, Entrepreneurship and Innovation, and Advanced Finance and build on the knowledge obtained in the core modules. The modules includes visits to traditional local companies and innovation hubs, foreign companies, and joint ventures, providing you with a comprehensive understanding of these emerging markets as well as a practical and real-world perspective. The US module is a tailor-made executive education program in partnership with the Kellogg School of Management, Northwestern University, Evanston (near Chicago), USA, one of the leading business schools in the US. Kellogg’s top faculty members provide expert insight into management education’s latest hot topics. A variety of engaging Management Practice Workshops supplement the program’s thorough academic curriculum. The workshops focus on current key business practices and are taught by experts and coaches in the respective areas. Students embark on a personal development journey throughout the duration of the MBA, with all aspects of their education designed to help them better know themselves as well as learn how to lead and be led. Group work, reflections, and leadership challenges help students excel beyond their current boundaries and provide ample opportunities to sharpen their interpersonal and communication skills. This module is integrated into all aspects of the curriculum. The Final MBA Project can take the form of a business-plan, research paper, or report written in cooperation with a company while completing an internship. Completed either individually or as a group, the result should demonstrate an ability to focus on solving a problem by applying the research methods and management knowledge acquired throughout the MBA. The project is supervised by a faculty member and is typically completed during the elective phase of the program. In the case of a company-related project and internship, the final project takes place only after all modules have been completed. Our expert faculty are all actively engaged in research, allowing us to incorporate the latest relevant findings for the business world into our curriculum. The fact that WHU is the only private German university that is a member of the German Research Foundation (DFG) is testament to our professors’ dedication. We also complement our own outstanding faculty with international faculty members from our partner schools as well as lectures, real-life cases, and workshops from top practitioners and experts in the field. Your future awaits - apply now! We welcome students from diverse cultural and professional backgrounds. Our holistic approach allows us to consider all aspects of your application, not only your grades or test scores. This means you have the opportunity to showcase your unique potential to our selection committee. We accept applications throughout the year. However, we strongly encourage applying as early as possible since places are limited. We encourage our non-EU applicants who require a visa to apply before December 31 (April Intake) or May 31 (September Intake) to ensure that the visa application procedure can be successfully completed in time for the start of the Program. We require no additional fees upon submission of your application. Please also take note of the early bird deadlines (on this page) for reduced tuition fees. Don't miss the Early Bird offer! *A complete application includes online application, MBA questionnaire, submitted GMAT and TOEFL scores and university documents. Test your knowledge with the Mini GMAT Quiz. Pursuing an MBA can be a substantial investment, not only in terms of time and energy, but also financially. We’re committed to helping you explore and evaluate the different financing options to make sure this investment doesn’t stand in the way of your future. Prodigy Finance is revolutionizing student loan financing by offering alumni-funded loans for students who wish to study at the world’s top business schools. Prodigy Finance assesses the applicants’ future earning potential (based on the achievements of similar graduates) to determine loan affordability. Open to students from over 150 nationalities, Prodigy Finance offers competitive interest rates payment deferral during the study program. Students accepted to WHU’s Full-Time MBA Program are eligible to apply. Our local bank institute grants loans to WHU students. WHU grants scholarships to enable highly talented candidates from all countries to pursue the WHU MBA. According to the description of the respective scholarship, we seek to support individuals who are likely to add special value to the MBA class. The WHU scholarships are not bound to a specific amount (exemption: WHU e-fellows.net Scholarship). The admissions committee grants scholarships based on various criteria. To apply for a scholarship, please use the respective scholarship application form, which can be downloaded under the links below. Please note that only one scholarship application per person is possible and that scholarship application requires an application for the Full-Time MBA Program at WHU. Seats in the program and scholarships are limited and granted on an ongoing basis. Therefore, we recommend early application. Once you have completed your application to the Full-Time MBA program, please send your scholarship application to mba(at)whu.edu. Alumni of e-fellows.net and participants from the e-fellows MBA Day may apply for the partial scholarship valuing €10,000. For more information, please click here. Note: The program fee does not include airfare, travel expenses, and visa fees during the international modules, or accommodation in Düsseldorf. Information for taxpayers in Germany (also applies to international MBA graduates working in Germany after graduation): the tuition fees for the MBA Program are tax deductible as anticipated professional expenses. For more detailed information, please click here or ask your tax advisor. *A complete application includes online application, MBA questionnaire, submitted GMAT and TOEFL scores, and university documents. The MBA marks an important and exciting turning point in your career. Whether you aspire to move up the career ladder in your current field, change industry, job function, or location, or become a successful entrepreneur, our top-ranked MBA Career Center is dedicated to helping you turn your career ambitions into reality. We will support you in carving out a career path in line with your personal goals that enables you to have a positive impact on the world. We have created the “Triple M” career roadmap that outlines how we will assist you in your career journey. Our individualized approach to career development helped our previous MBA cohort make an average 106% salary increase, proving that our MBA Program provides value for money. The outstanding rating in the Financial Times Global MBA Ranking 2019 further demonstrates our alumni’s satisfaction with the effectiveness of our career services in terms of career counselling, personal development, networking events, internship search and recruitment, and distinguishes the WHU MBA Career Center as the #1 in Germany. Designed for high-achieving professionals, the Part-Time MBA Program takes place on the weekends, over a period of two years, and gives you access to the necessary management know how, personal growth and leadership development opportunities, and extensive peer network required to have a successful career. The 24-month Part Time MBA Program, beginning in September, allows you to balance work with your studies, with classes taking place mainly on the weekend. The US module is a tailor-made executive leadership program in partnership with Columbia School of Business in New York, USA, one of the leading business schools in the US. We require no additional fees upon admission of your application. Please also take note of the early bird deadlines (on this page) for reduced tuition fees. WHU grants scholarships to enable highly talented candidates from diverse academic and professional backgrounds to pursue the WHU Part-Time MBA. To apply for a scholarship, please use the respective scholarship application form (see below). Please note that only one scholarship application per person is possible and that scholarship application requires an application for the Part-Time MBA Program at WHU. Seats in the program and scholarships are limited and granted on an ongoing basis. Therefore, we recommend early application. After you have completed your application to the Part-Time MBA program, please send your scholarship application to mba@whu.edu. Benefit from our extraordinary WHU network. Whether founding start-ups, changing industry or function, or progressing into senior roles, our students are writing their own success stories after graduation. Find out what they are up to, what impact the MBA Program has had on their professional lives, and what motivated them to get the MBA in the first place. After I finished the MBA, I was promoted to a new position as Senior Project Manager with adidas in China! The business knowledge and insights into Chinese culture that I gained during the international modules helped me demonstrate my suitability for the position. Global perspectives and cultural diversity are reflected in all aspects of the MBA Program. I acquired a broader outlook on business (in both developed and emerging markets) thanks to the program's international modules in the USA, China, and India. Are you curious to find out whether you would be a good fit for the MBA program? Do you have at least 2 years of professional work experience? Upload your CV and find out if you are already eligible for our program. Our recruiting team will contact you to provide feedback. Courageous and committed – Gain an inside perspective into the WHU MBA experience. Find out what is happening at WHU, get a taste of the MBA student experience, and check out what our alumni are up to. The 2019 QS MBA Specialization Ranking sees WHU achieve high scores in specialist career fields. One week and eight teams, the MBA Program welcomed the seventh Future Leaders Fundraising Challenge. WHU’s MBA Program Launches New Project Mentoring the Next Generation. WHU MBA team competes against European business schools at regional finals. Join us at one of our upcoming MBA events. Curious about what it is like be a WHU MBA student? Looking for information regarding financing and return on investment? Have questions about the application requirements and procedure? With events taking place on campus in Düsseldorf, off campus all over the world, and online, there is always something going where you can find out more. Don’t let your future wait, sign up now! Join our Virtual Q&A Session on Admissions on April 30. Get valuable insights into our curriculum, program offerings, and admission requirements and receive some first-hand tips and insights with regards to a successful application to our #1 WHU MBA program. 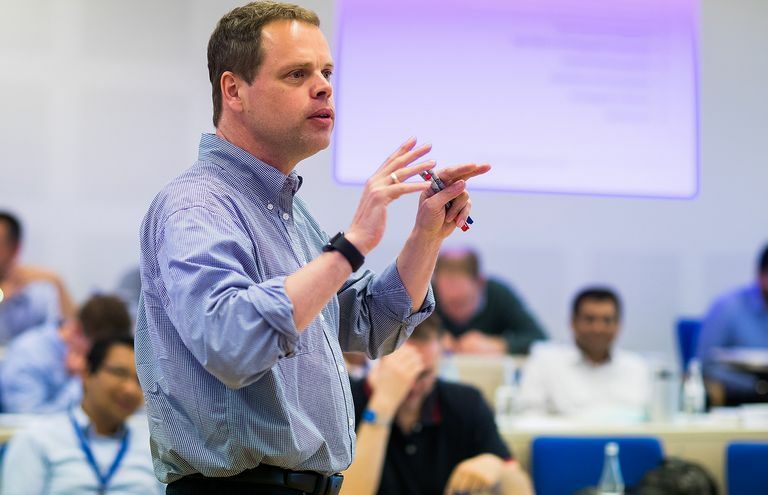 Discover how the MBA program at WHU could take your career to the next level. Meet us in Warsaw on May 08. Join our Virtual Career Insights Session on May 09. Our MBA Career Center Director, Dr. Christine Menges will share with you, how the MBA at WHU can bring your career to the next level. Learn more about what measures we take to make sure that you will achieve your career goals. Meet us in Luxembourg on May 16. Join our Alumni Panel & Networking Event to learn more about the MBA at WHU and the Kellogg-WHU EMBA program. Gain an insight into the value of our programs in enhancing your professional profile through a candid panel discussion and an open Q&A session with our alumni. Take a seat in our Masterclass on May 23. Experience the Full-Time and Part-Time MBA Program in person by sitting in our Masterclass on the topic of Corporate Entrepreneurship and later networking with alumni, faculty and staff. Experience the Full-Time and Part-Time MBA Programs in person by sitting in a real-life class and later networking the students, faculty and staff. The WHU MBA recruiting and admissions teams are happy to answer any questions you may have about our curriculum, admissions requirements, and financing options. We are also happy to advise you on career prospects and return on investment as well as put you in touch with our alumni who would be happy to share their success stories and offer advice.